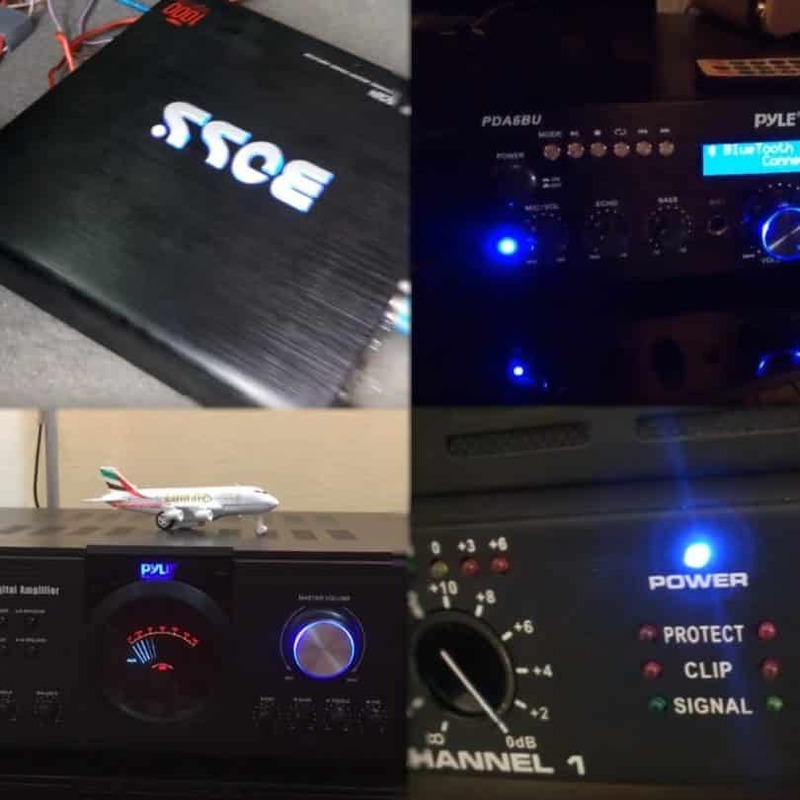 Best 1000 Watt Amp Review: 5 Top-Rated in April 2019! To drive all your sound system or hardware, and get desired musical projection then you need to invest in an amplifier. 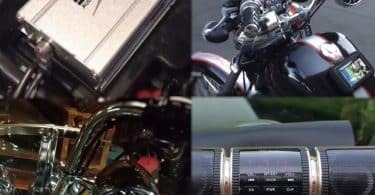 Getting an amplifier that’s capable of carrying several speakers and that can act as a power source for the entire sound system is a pure alternative for your ill-equipped sound system. However, it’s prevalent that you also consider the exact power that your sound system would require. When much power is applied, it forces the speaker cone to its limits, and this may likely cause damage to the speaker. You need to know the power rating (watt) needed to fully control your sound system. If the amount of the amplifier power is within the sound system capacity, then you can be self- assured that the system won’t get damaged. Using a 1000 watt amplifier, you have to try to ensure that the sound system is completely compatible. Although a 1000watt amplifier can power a home theatre. Yes! Don’t forget you are in control of the volume level. Our focus is narrowed down to bring you the best 1000 watt amp you can get. Are you looking to add bass, and enhance the performance of your sound system at an affordable price? Look no further! 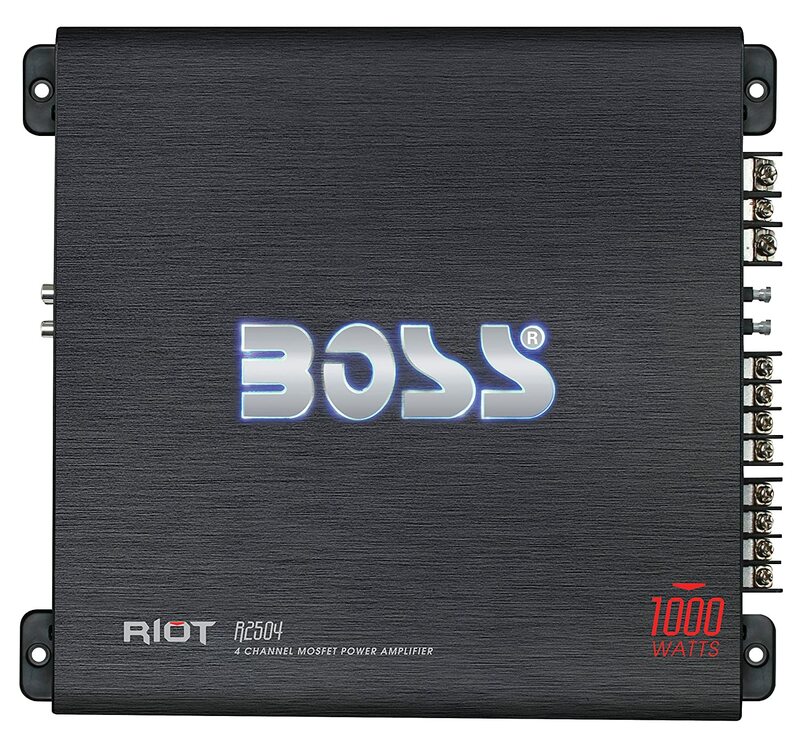 Boss Audio is one of the key amp brands in the market. It is an awesome amp that’s capable of delivering 1000 watt power on demand just as promised. The R2504 was built with headway features of 2 ohms capable of producing more power resulting in more volume. The amp aims to suit budget builders who would love to get simple sound projection in their homes – that is already achievable. This little champ is the real gig and it’s able to fulfill your power output need with an exact right price. The versatility of the amp with its flexibility and power features is its first selling point. It’s highly rated for MOSFET power supply for efficient output with class A/B specification for increase sound quality and power output while reducing distortion. 2 ohms stable and the full protection it has along with a pretty simple layout with all the necessary input and output options. It’s a 1000 watt amplifier with 4-channels that can power up your subwoofer, speakers or combination of both in a well-controlled volume level. The amp gives you control over the frequencies that pass through to the subwoofer through its variable low-pass filter, and the high pass filter so that you can filter frequency that passes to the full range speakers from a fixed frequency spot. Easy to mount or install. 2 stereo channels plus a subwoofer. It might be difficult to replace fuse depending on how you installed it. Does not include a screw for mounting. This brand is actively trying to deliver better performance to their customer, with all necessary power and versatility for a professional sound system. This 1000 watt amplifier with this variety frequency response is most suitable of amplifying vocal or music to give a needed boost to music, audio, and movie sound. Ability to stream music with today’s latest devices including laptops, tablets, and smartphone using its unique built-in Bluetooth. 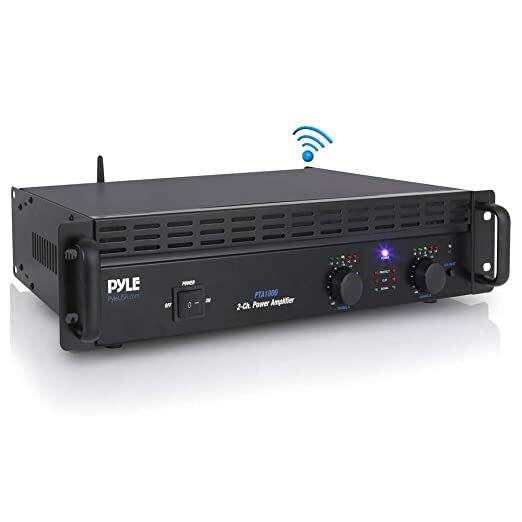 The Pyle Pro Audio Bluetooth Amplifier features a rack-mountable system and has a 2-speed built-in DC fan that supplies air to the amplifier and when it requires extra cooling, the fan automatically works at higher speed. All of its functional control center is in the front panel. The amp also has two balanced XLR input connector jacks and two 1/4‘’ TRS input connectors along with three speak-on output connectors. In terms of signal processing, the amp power, protect, clip through a signal indicator, and it also has a left and right channel level signal indicator. The amp has a built-in wireless Bluetooth that can aid music streaming when it’s connected to a laptop and other devices that are compatible. This amplifier gives you the exact combination you need for both outdoor and indoor purposes. You’ll get a total of 1000 Watt power to be used for 2 – 8 ohms multiple speakers through its speaker terminal so you can benefit from its audio quality. 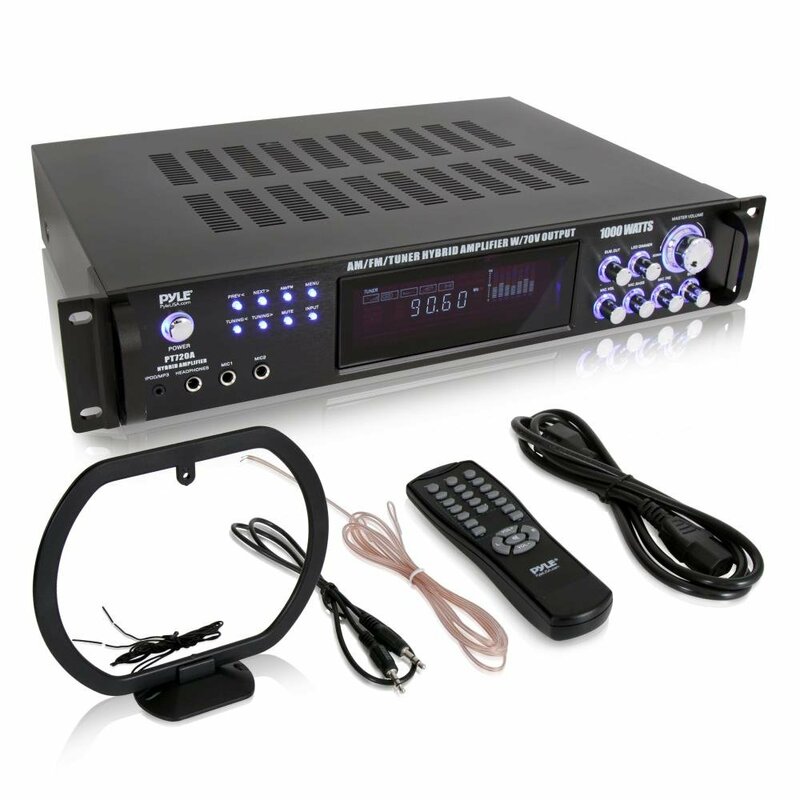 The amp has an AM/FM quartz synthesized tuner, 110 – 220V switchable, and also has a removable rack-mount bracket with a 3.5MM cable, separate level control. It also features a wireless remote to enhance distance control. The amp is capable of projecting sound in virtually any location. Can function as an amp for a home stereo system, but the user must control volume. Range and sound clarity is exceptional. With its huge features, it’s worth every penny. The Pyle Premium Home Audio Amplifier is a professional stereo receiver that the manufacturer expects that it will last for a longer time. However, if you’re looking for a sound tool that can perform extremely well, then that tool is the Pyle Premium Home Audio Amplifier. It is designed to provide some juice into the multi-source PA and home theatre sound system. This amp is rating well for its support on 4 audio inputs – microphone, tape, Aux & DVD, tuner input and also its quality sound. It has A/B speaker selectors that enable users to choose between speaker sets. When it’s turned-on initially it uses both speakers as default, it shows which input is currently been used through its illuminated display meter features that also measures the decibels. A remote is included for audio adjustment from a distance. Heavy duty cooling fan, screw-type speaker terminal. It has 4 audio inputs. It is specified to be used both indoors and outdoors. Make a bit of fuzzing noise when turned on. With its kind of plastic front and volume knob, longevity may be an issue. The last on the list is Rockville RPA5 1000 Watt Peak Power Amp. Another name for this amplifier is called the “DJ amp”. it is a unique option which comes out of the Rockville catalog. The amplifier is actually worth a substantial investment. 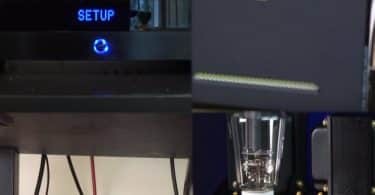 The amplifier is a 1000 full package, and the output/input terminal is enabled to ensure it’s compatible with any setup. It has a built-in crossover switch for speakers and subwoofers. Computer controlled IC protection circuitry against speaker short circuit, thermal overload, and built-in dual cooling fan. Conclusively, we have shown you a few awesome amps which are highly capable of delivering a total 1000 watt power on demand. All the listed amps meet our strict requirement ranging from great sound to an affordable cost for acquiring any. So, feel free to look for any one that suits your need – I tell you, they are the real gig! In addition, all the reviewed amps will all do what is expected, which is to project great sound quality not minding the audience sample, and prepare to be amazed while you consider these options. Play on!